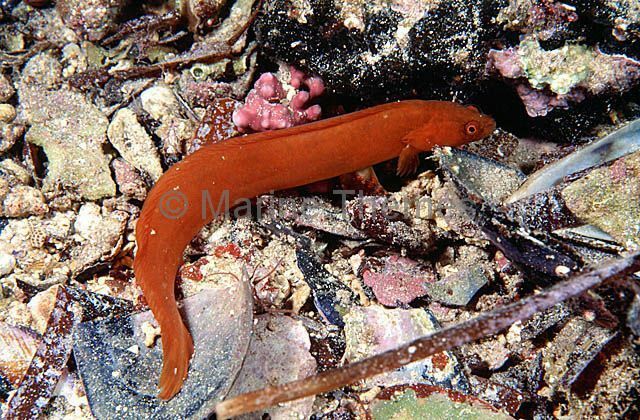 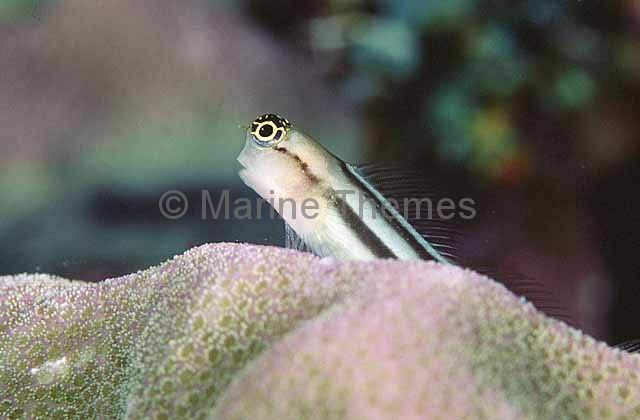 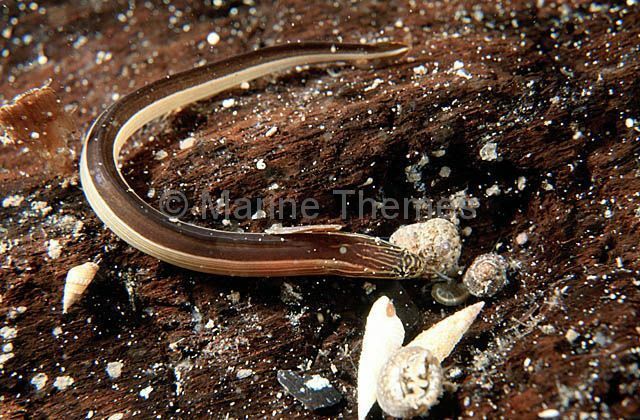 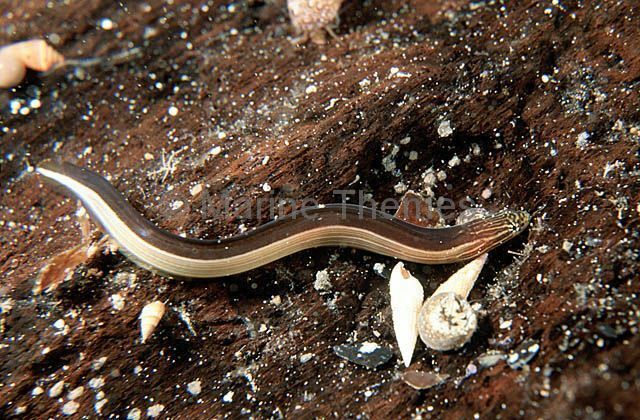 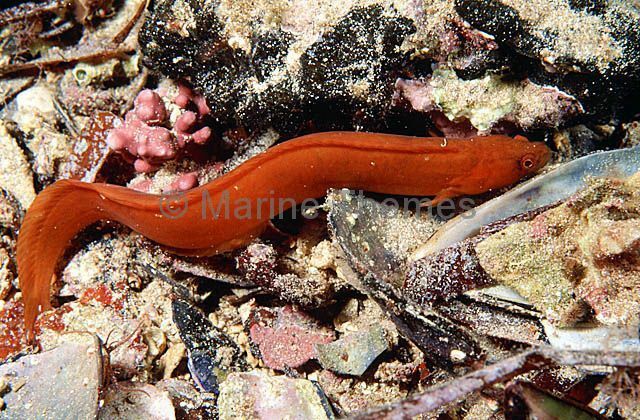 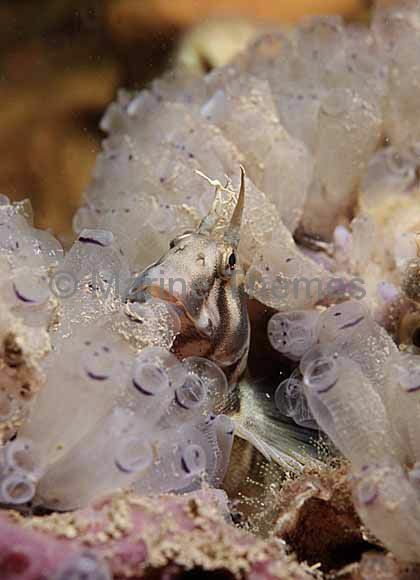 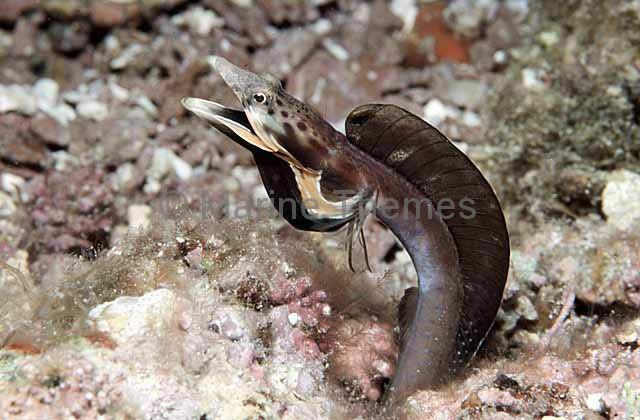 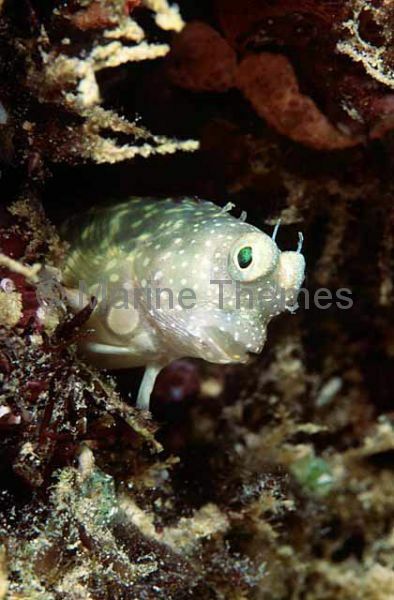 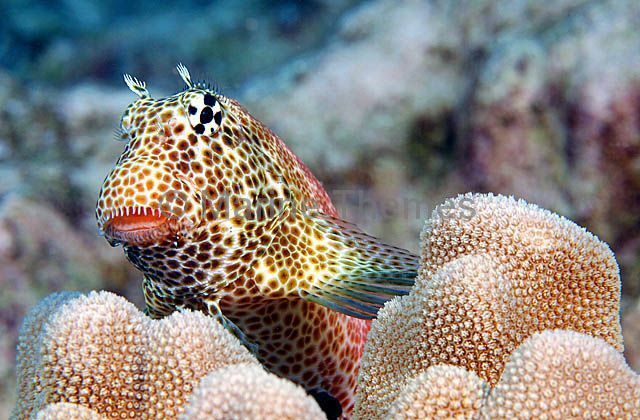 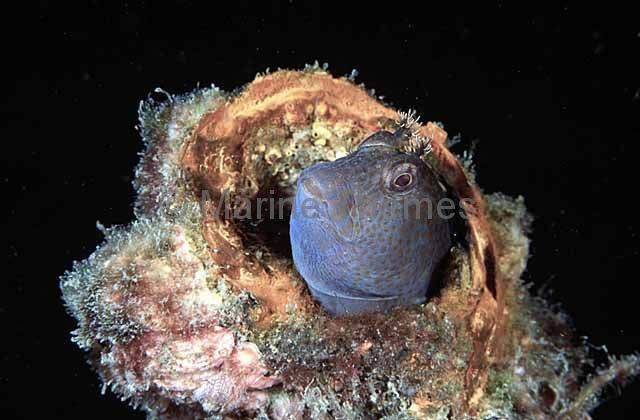 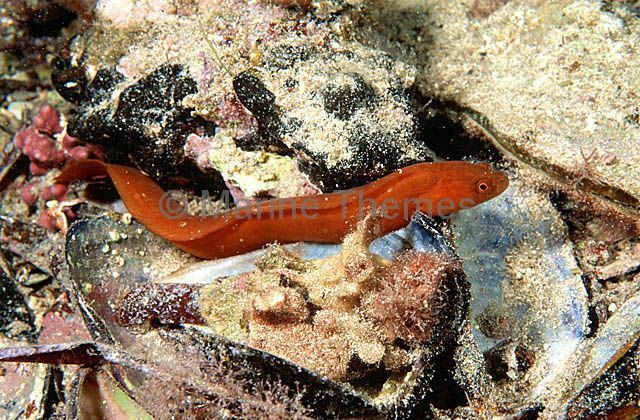 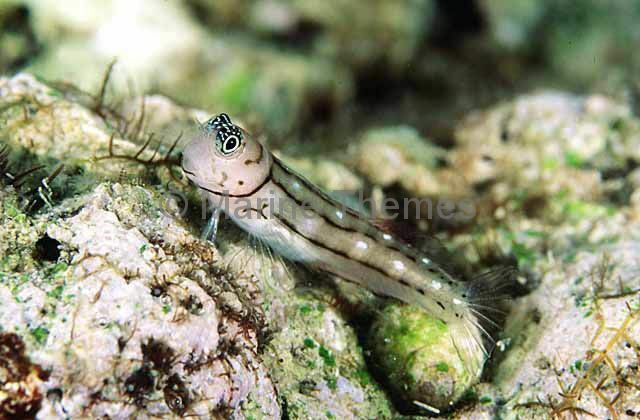 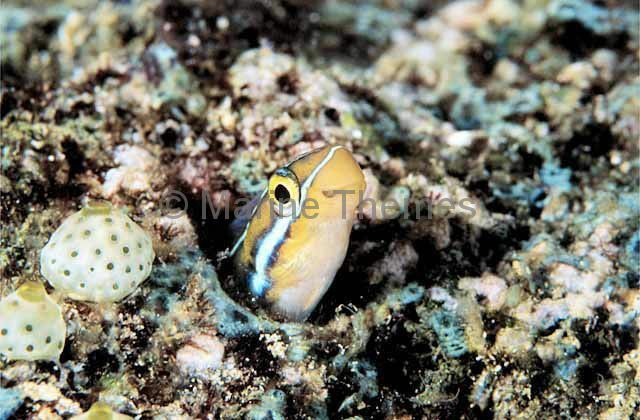 Galapagos Barnacle Blennie (Acanthemblemaria castroi) Lives in empty barnacle shells. 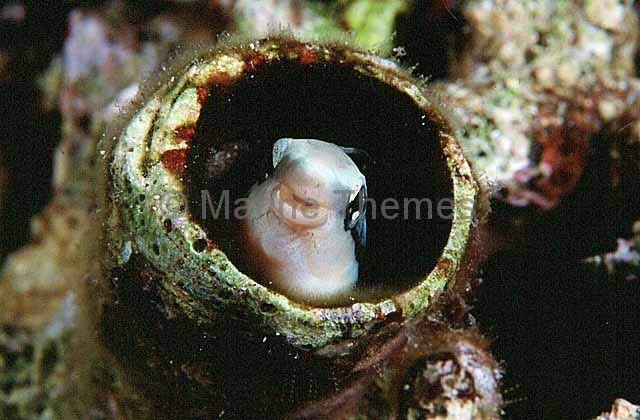 Bluestriped Fangblenny (Plagiotremus rhinorhynchos) in dead tube worm tunnel. 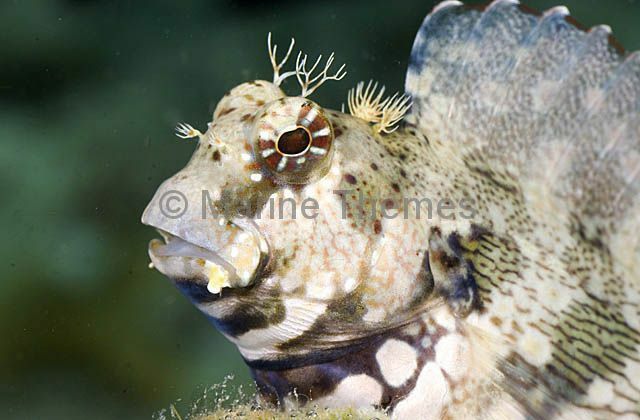 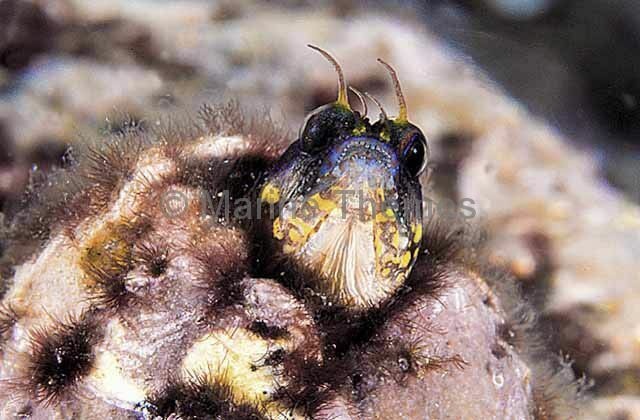 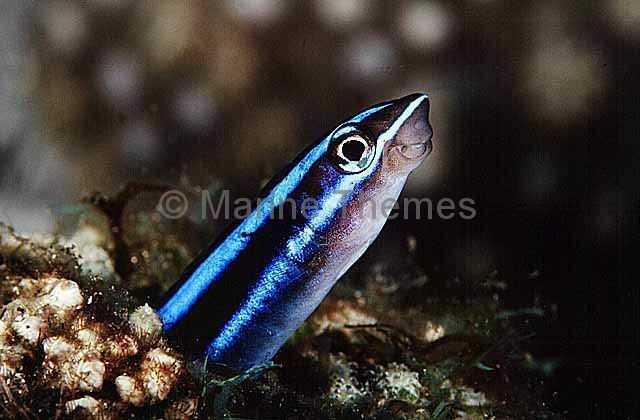 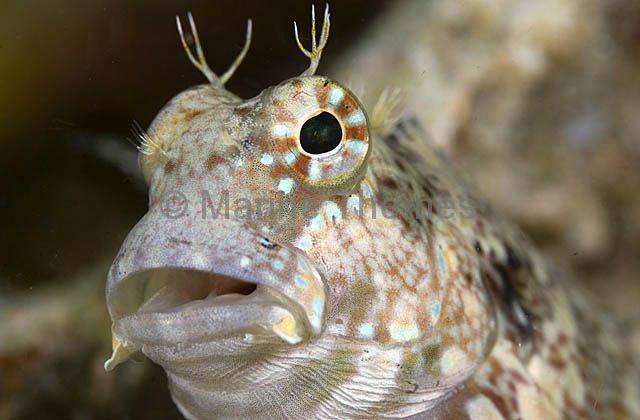 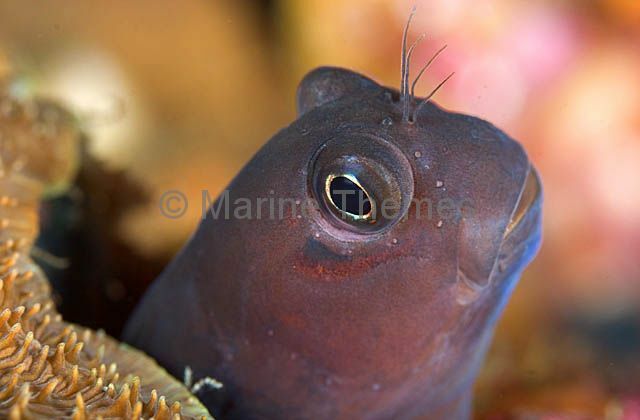 Jewelled Blenny (Salarias fasciatus) portrait. 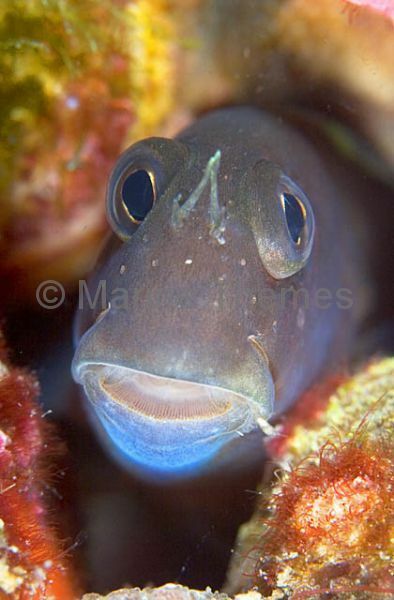 Orangethroat Pikeblennie (Chaenopsis alepidota alepidota) Male displaying.